Hard to tell whether they fear vampires, demons, ghouls, zombies or more likely, roving bands of Tea Party patriots… This is whacked and alarming. 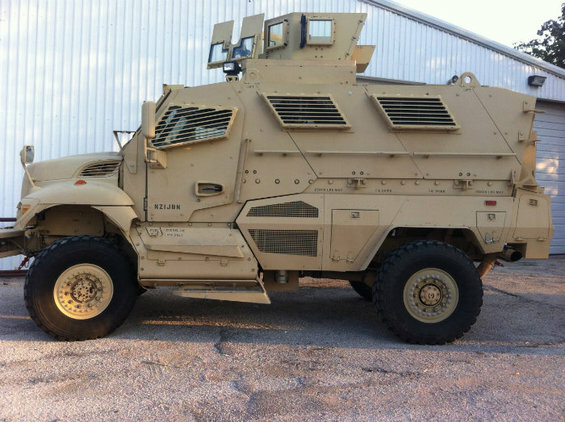 Just what the hell, does the Dallas County Sheriff’s Department need with MRAPs? They must want to serve one hell of a warrant. The Dallas County Sheriff’s Office traveled to Fort Hood this month to acquire its own bona fide military vehicle — the International MaxxPro MRAP tactical vehicle — courtesy of a Department of Defense surplus program. According to The Dallas Observer, the sheriff’s office obtained the 19-ton, diesel-operated behemoth with bullet-proof doors and tires, designed by Navistar Defense. The specific vehicle obtained by the Dallas sheriff’s office was never used overseas and claims only about 10,000 miles of use, but other similar vehicles were reportedly employed by the military in war zones, and specifically to withstand roadside IEDs, or improvised explosive devices. The Observer writes the sheriff’s office will now use it to serve warrants on wanted men. Does anyone, I mean anyone, see a problem with this militarization of our police forces? 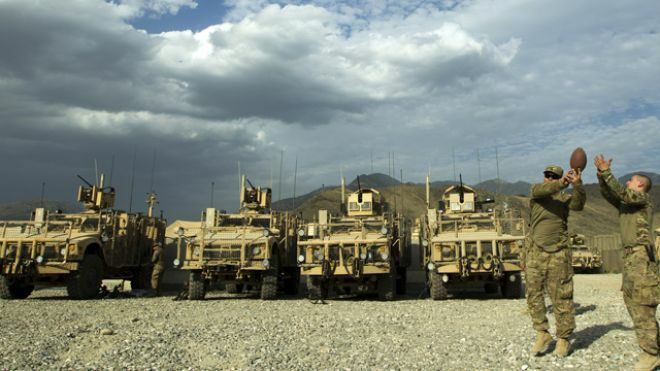 These are militarized vehicles… Meant to withstand IEDs, which I’m sure they expect to find in every pothole now. At least, that is how they are acting. Dallas is not alone of course. Murfreesboro, Tennessee and Ohio State University along with many others are also getting their ‘tactical defenses’ on. Tennessee tried to reassure everyone it was to protect them from armed gunmen. What? Militarized roaming gangs? Maybe al Shabaab and al Qaeda roaming the streets? Concerned American citizens would really like to know before their neighborhoods glow in the dark, if you know what I mean. These guys are primary responders, but just what do they intent to respond to? I suppose there’s just no telling when sectarian warfare will break out and Americans will start planting roadside IEDs willy-nilly. I’m telling you, government and local authorities are heavily preparing for civil unrest and they have American civilians in their sites. Guns, ammo, food… Why do you think they keep labeling the Tea Party as extremists? Anarchists? Terrorists? They are arming up their bad selves for a patriot apocalypse.